This week’s talk by Elder Robert C. Gay was from the Saturday p.m. session of conference. He spoke about the value of integrity and not selling ourselves short by being unwilling to let go of sin. Remember the story where he fibbed about his age to save a nickel? The Lord loves our righteousness but asks of us continued repentance and submission. . . . This is the exchange the Savior is asking of us: we are to give up all our sins, big or small, for the Father’s reward of eternal life. We are to forget self-justifying stories, excuses, rationalizations, defense mechanisms, procrastinations, appearances, personal pride, judgmental thoughts, and doing things our way. What stood out to you from this talk? What do you think the speaker is asking us to do? Please share in the comments below some of your insights. GCBC Week 23: What Have You Done With My Name? Share in the comments some things you learned or appreciated as you studied this talk. If this is your first time visiting the General Conference Book Club, click here for more information. Duty does not require perfection, but it does require diligence. It is not simply what is legal; it is what is virtuous. 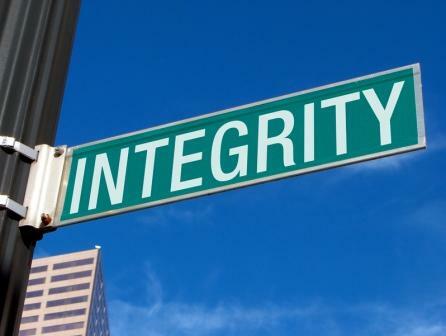 I’m fascinated with the relationship between duty and integrity. I’ve been thinking also about how when it comes to our reasons for doing what is right, duty is not necessarily a replacement for love, but a companion for it. Our adherence to duty can be seen as evidence of both our love and our integrity. But enough of my own “talk,” study Bishop McMullin’s — it’s much better. Please share your thoughts and insights in the comments. We learn as we discuss together and see new ways to apply the principles in our lives. Go here to find the media versions of the talk (audio, video, mp3, etc.). If this is your first visit to the General Conference Book Club, click here to learn how it works, and please join us! Women’s Conference chapter 2 and a half: Integrity, continued. As promised, here is a smattering of notes from the Women’s Conference class entitled “Till I die I will not remove mine integrity from me,” taught by Shelley Heiner and James L. Toone. Please excuse that this post is just a collection of my notes, and they are not particularly cohesive. Hopefully you can peacefully hop from principle to principle. Integrity comes from the same base as words like interger, and means entire and whole. It is doing what’s right. Integrity is the difference between what you have a right to do and what is right to do. 27:5-6 God forbid that I should justify you: till I die I will not remove mine integrity from me. My righteousness I hold fast, and will not let it go: my heart shall not reproach me so long as I live. As mothers we must promote integrity and teach why it’s important. In the Book of Mormon, there are many examples of generations that choose evil because of “the traditions of their fathers.” They can also be influenced by righteous traditions. (I thought of the young warriors in the Army of Helaman.) We must show a model of integrity for our children. We must honor covenants and promises. I loved a quote she shared by Elder Ballard, but I haven’t been able to find it. It basically said that in this crazy world, it is nearly impossible for children to find their way without a good example. That particular class was more practical in nature than spiritual, thought it obviously had some spiritual underpinnings and spiritual applications. Two different speakers basically presented in a “here are some things that have worked for me” attitude. The things I included in my notes were simply things that I thought might work in my family, or at very least, were worth remembering and trying. Trying to implement them all, especially all at once, would probably lead to certain death. I just thought there were many good ideas. I need to make a confession. 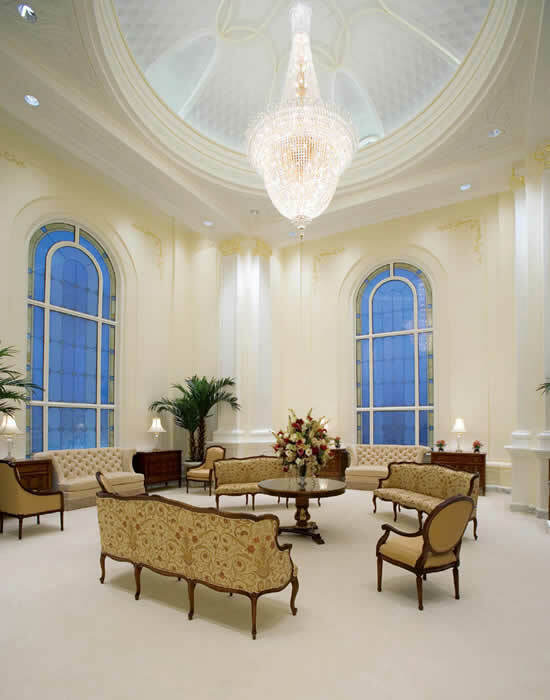 A couple weeks ago, for the General Conference Book Club, I planned on doing that talk about the “temple home,” but when I read the part about your home being clean and orderly, I immediately disqualified it, because as I told my friend, “I just wasn’t ready for that yet.” I didn’t want the guilt, and I needed to come to better terms with what realistic expectations are for myself and my own situation. 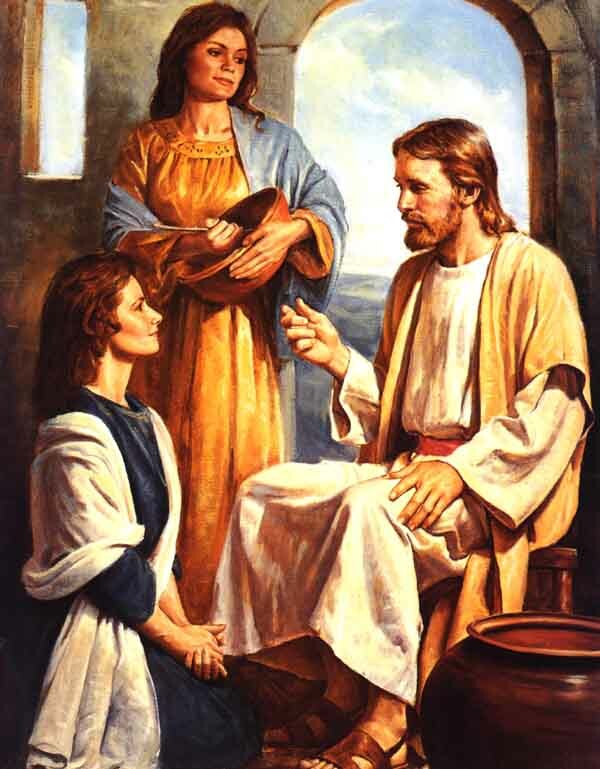 As I thought about that, I got a new insight into the whole Mary and Martha story. Martha’s mistake was not trying to clean up her home after dinner, it was simply missing the whole point of doing it in the first place. We do all that cleaning and organizing, etc. in an attempt to make our homes a place where the Spirit of the Lord can dwell, but He was already THERE. In person. She had already made a place where He felt comfortable and welcome, so she needed to LET IT GO, sit down, and just listen to Him teach. We need to do that, too. Pause from all our DOING, and make time for more LISTENING. He doesn’t want a perfect home; He just wants to know you want Him to drop in. Hope that makes sense. So, um, yeah, how ’bout we actually learn a little something about the title of this post? The first speaker told a story about how she was shocked when one of her 7-year-old daughter’s friends invited her to a play date and then the girl’s mother nonchalantly explained that they lived in a “clothing-optional” community, and would that be a problem? More shocking to her than the actual question was the fact that she was now going to have to have a conversation with her second-grade daughter about why clothing was not optional in their family. We have to start early to explain what we believe and why we choose the right even when others do not share, understand, nor applaud our choice. You know what? This post is getting too long too fast, and I need to go to bed! Let’s chew on that home organizing stuff for one more day, and let your brains think about what this — my favorite Young Women’s Value (Integrity) — means to you: “I will have the moral courage to make my actions consistent with my knowledge of right and wrong.” I’ll finish up what I learned from the class, and we’ll discuss. See you tomorrow night.